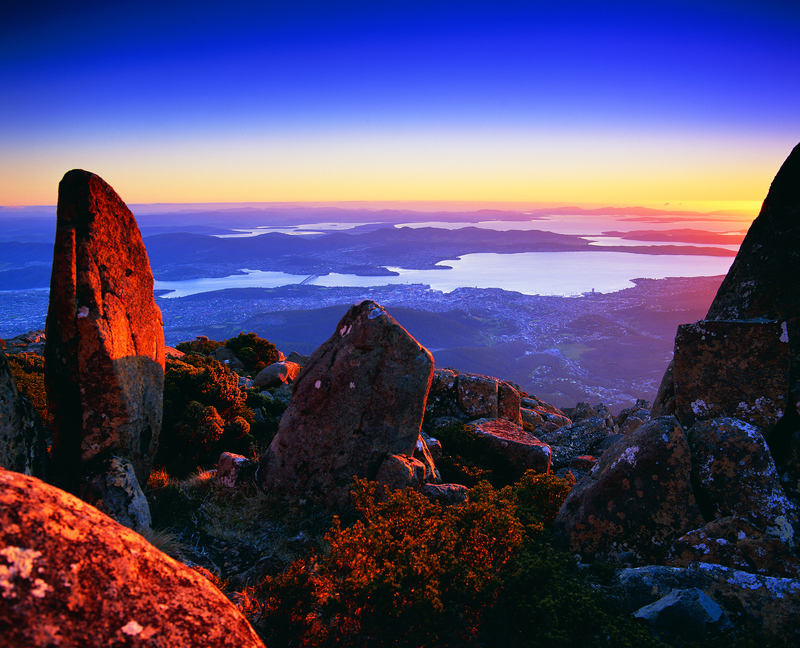 The south of Tasmania is crossed by trunk roads, regional freight roads and regional access roads, including six of the highways for walking on when walking from the mouth of the Derwent River to the source. 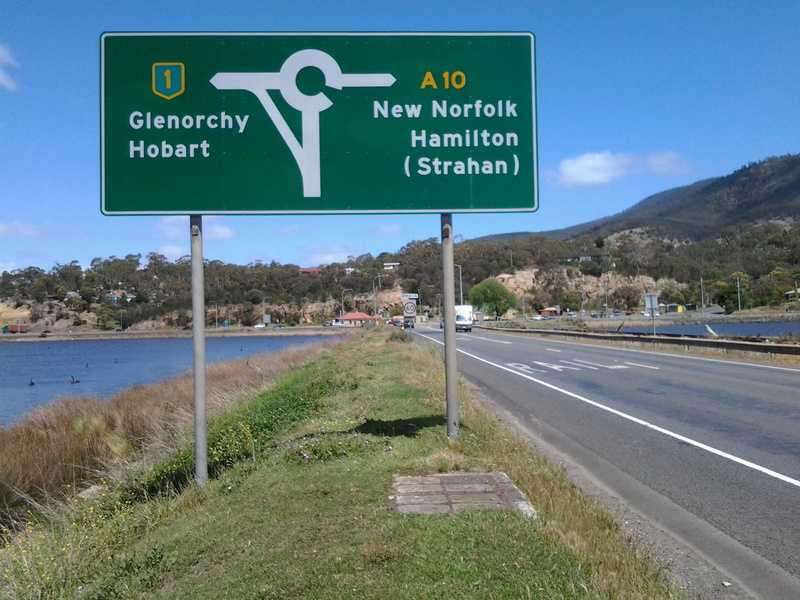 The South Arm Highway which extends from Opossum Bay to where the suburb of Mornington reaches the Tasman Highway. 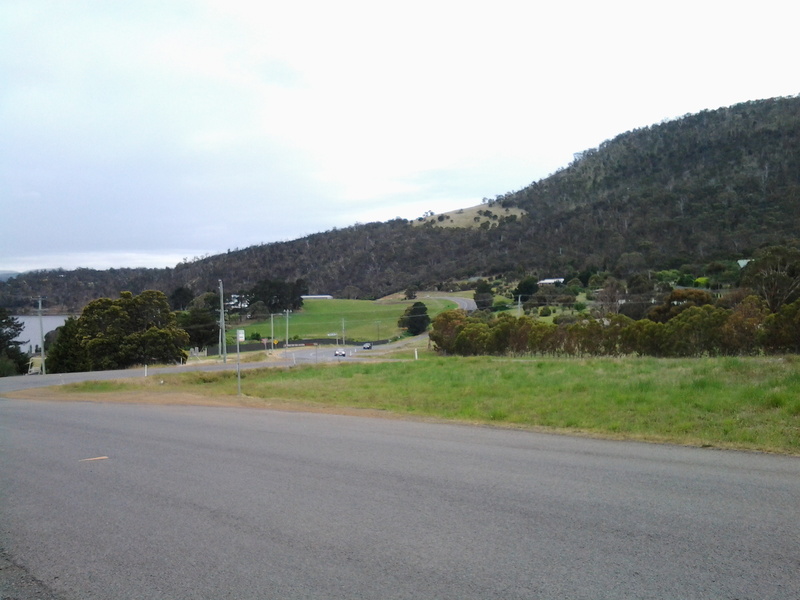 I bussed and/or walked on the South Arm highway during Stages 1-3. 2. 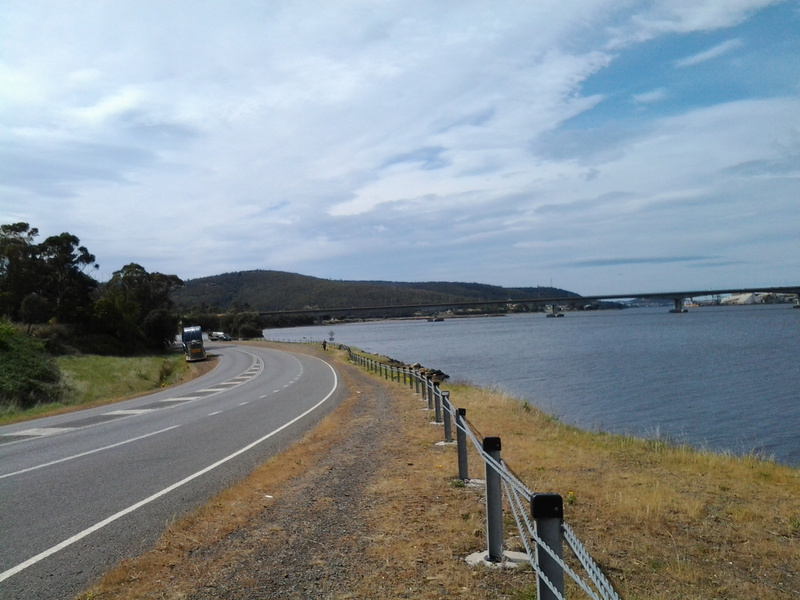 On the eastern shore of the Derwent from Geilston Bay to Bridgewater Bridge it was the East Derwent Highway which felt the plod of my feet occasionally during stages 5 -8 of my walk. 3. 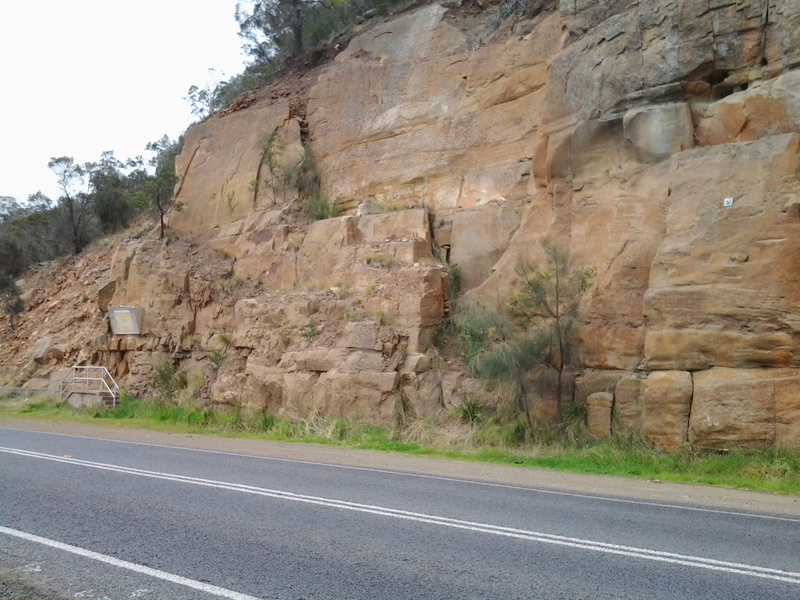 Once I reached Bridgewater on Stage 9, the highway crossing the Bridge was the Midland or Midlands Highway (sometimes referred to as the Heritage Highway). 4. 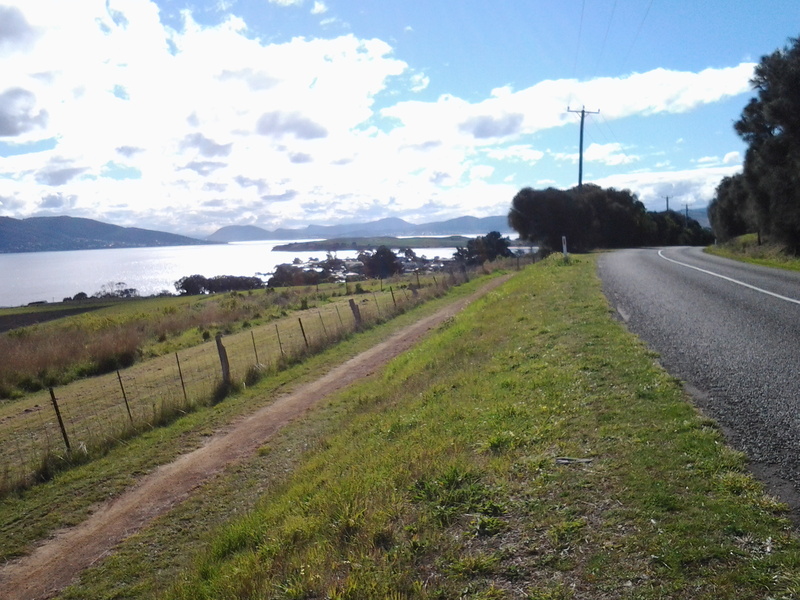 Some of Stage 12 of my walk on the western shore towards the mouth of the Derwent River, included a couple of kilometres on the Channel Highway. 5. 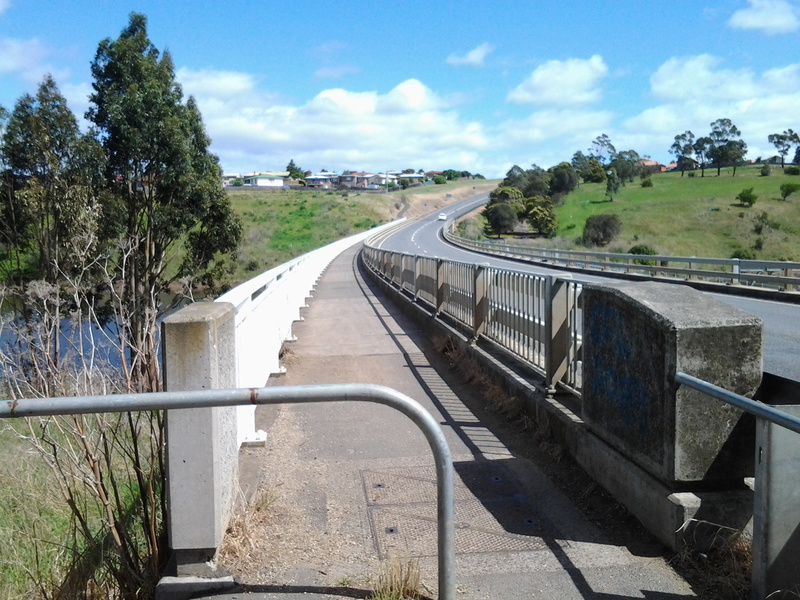 At the start of Stage 14 I will walk on the last few metres of the Brooker Highway, the main highway which extends from the centre of Hobart city to the Bridgewater Bridge at Granton. 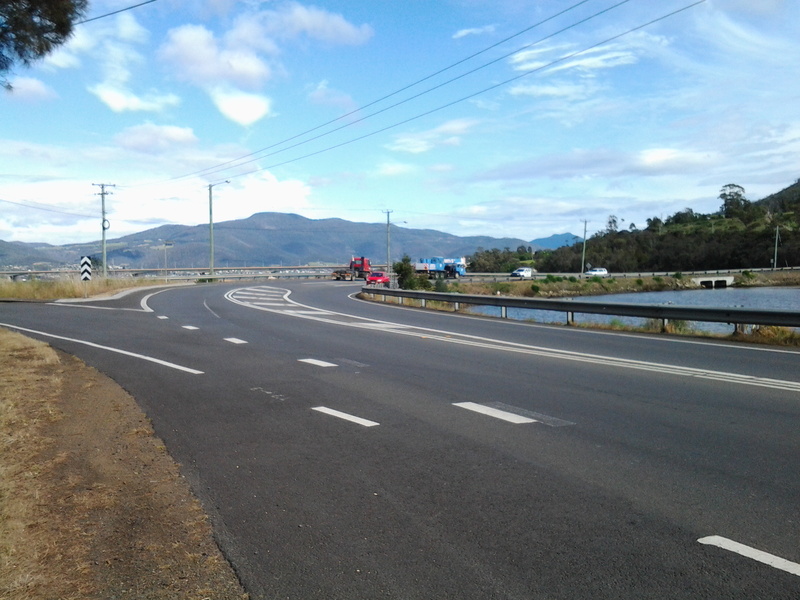 For the first time, at the Bridgewater Bridge, this Highway edges the Derwent River. 6. 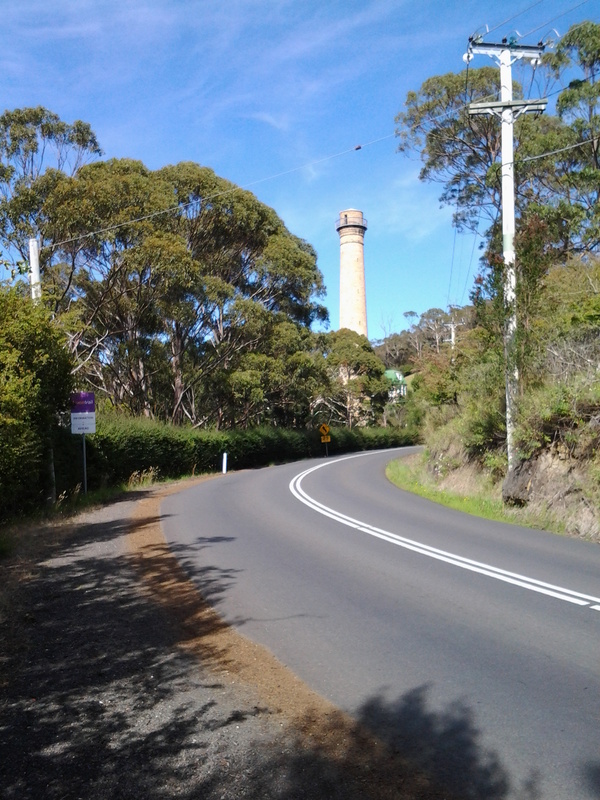 Immediately after the highway intersection with the Bridge, the Lyell Highway commences. 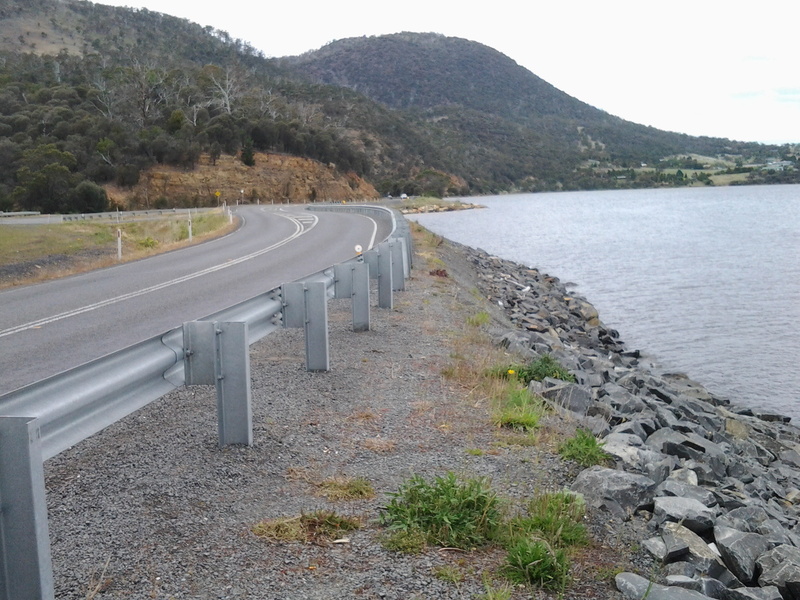 From Granton until I reach the source, the Derwent River winds closest to the Lyell Highway, the highway which extends west to the town of Queenstown (which is overshadowed by the copper bearing Mount Lyell). 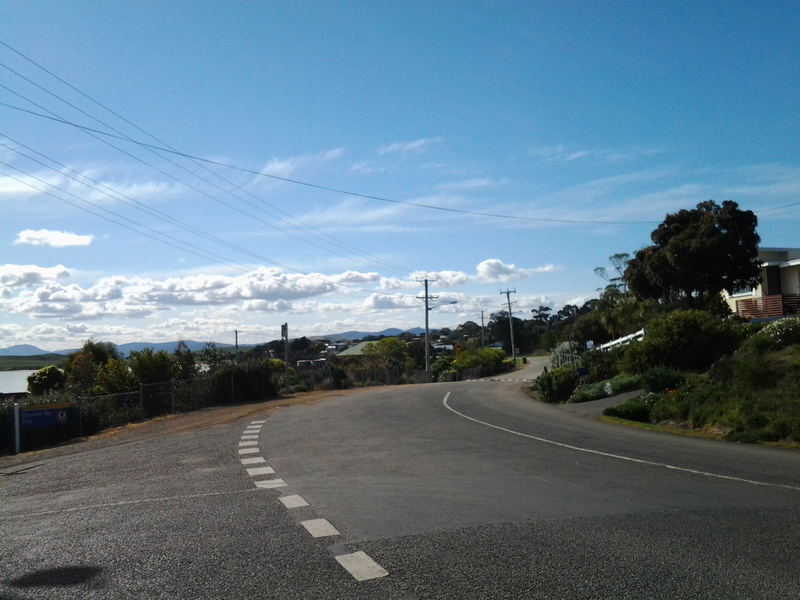 This highway will be my life line in terms of accessing public buses. 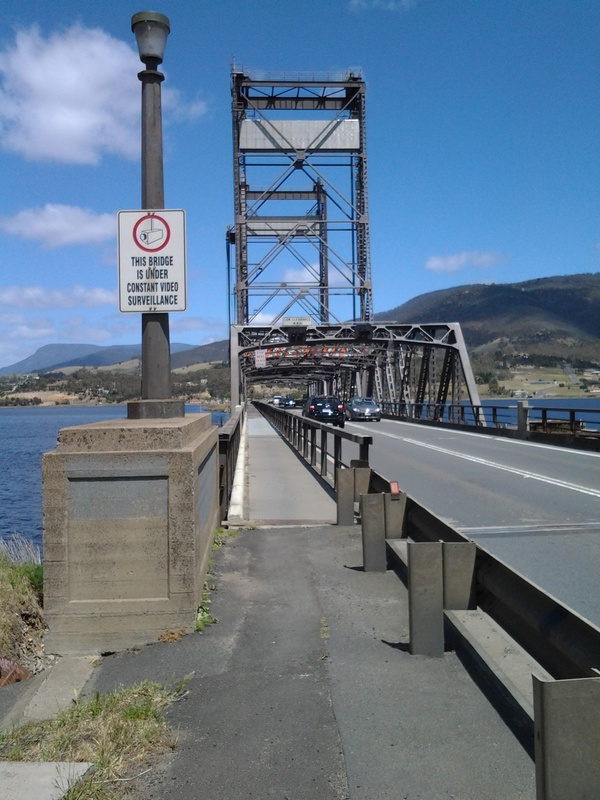 This entry was posted in Derwent River, Hobart, Tasmania, Walking and tagged Bridgewater, Bridgewater Bridge, Brooker Highway, copper, Derwent River, East Derwent Highway, eastern shore, Granton, Heritage Highway, Highways, Lyell Highway, Midland Highway, Midlands Highway, Mount Lyell, Opossum Bay, public buses, Queenstown, South Arm Highway, Tasman Highway, Tasmania on April 1, 2015 by Tasmanian traveller.